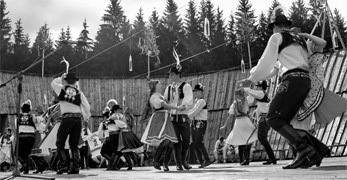 The Slovácko verbŭnk is an improvised dance performed by boys and men living in the South Moravia and Zlín districts of the Czech Republic. 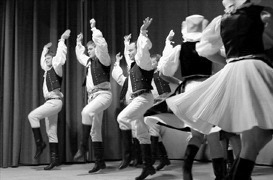 The name of the dance is derived from the German term Werbung (changed into verbŭnk), meaning “recruitment”, reflecting its historical origins in the recruitment of dancers and soldiers for the military in the eighteenth century.Today, it is performed by folk dance groups in most towns and villages of the Slovácko region, mostly in connection with festivities, such as the annual Hody community celebration. 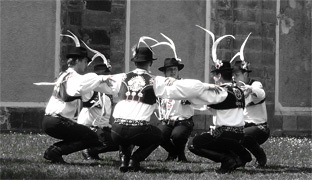 The Slovácko verbŭnk is danced to music called New Hungarian songs and usually consists of three parts. At the beginning, a song is performed, followed first by slow movements and then by faster dancing parts. 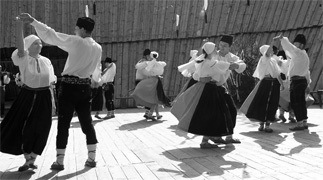 The dancing is not bound to a precise choreography, but is marked instead by spontaneity, improvisation, and individual expression, including jumping contests. 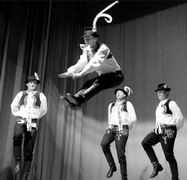 It is usually performed by groups, with each dancer interpreting the music in his own way. 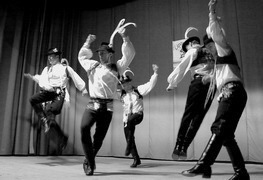 There are six different regional types of Slovácko verbŭnk, which account for the great variety of figures and dance rhythms. These types evolved in the early twentieth century and continue to change. 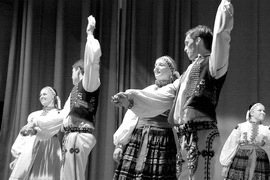 The dances are an essential component of local customs, ceremonies and celebrations and are performed at the annual contest of the best dancer at the International Folklore Festival in Strážnice. The migration of young and middle-aged people to the country’s urban centres is considered the greatest threat to the viability of the different regional types of Slovácko verbŭnk. 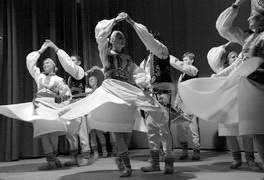 Another risk is the dance’s reliance on financial support since the traditional costumes and musical instruments are made by hand and require regular maintenance.